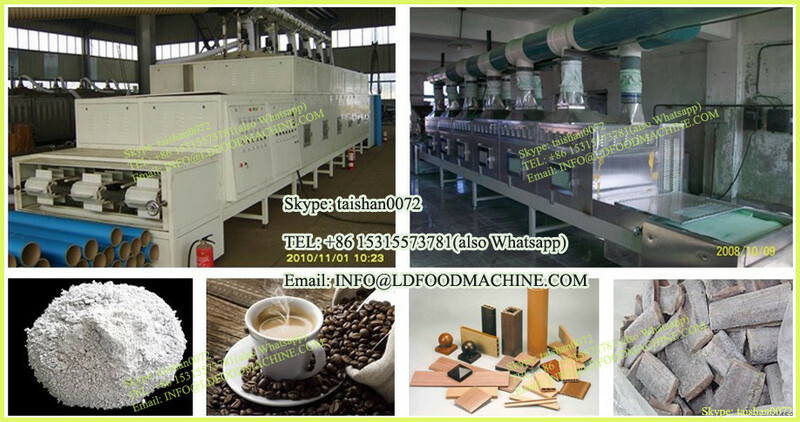 Due to PLC automatic control system,the machine has the advantages of flexible choice of microwave power. Microwave tunnel dryer for nuts heating boxes are equipped with infrared radiation thermometer imported from the United States,which is noted for precise measurement and stable capacity. There is microwave suppresser installed at the entrance of the machine,ensuring the leakage of microwave conforms to the national safety standard. This microwave equipment can be customized accoring to the clients’s requirements. Microwave tunnel dryer for nuts is used of electro-magnetic induction or infrared radiation to dry the raw material. By microwave energy permeation, the material inner moisture quickly been heated and gasified, forming a strong outward diffusion situation, to make the moisture extremely quickly spread to the surface. If you are interested in our microwave tunnel dryer for nuts,we warmly welcome you come our factory to check machine here.